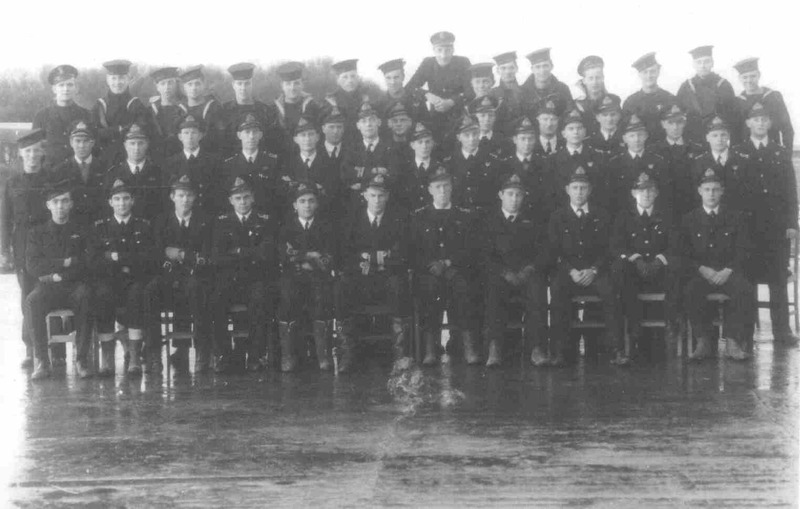 TAG's (Telegraphist Air Gunners) at Crail, Fife, Scotland in 1944. Names Unknown. 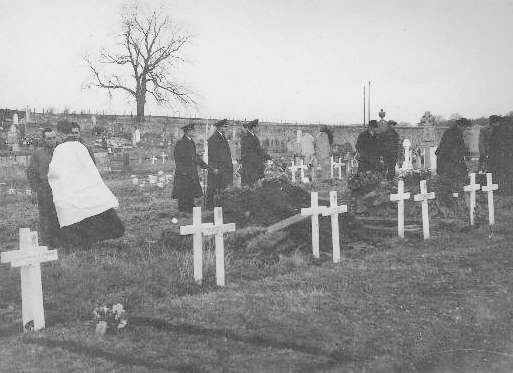 The bodies of P.O. 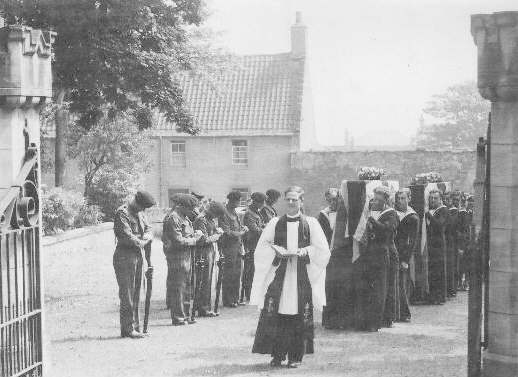 Stephen Blakey and TAG Eric Sargent are carried into the Church Yard at Crail Cemetery, Fifeshire, Scotland, in July 1944. 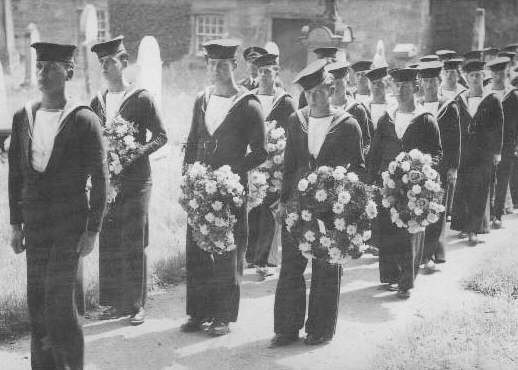 Funeral procession and wreath carriers from 812 Squadron. 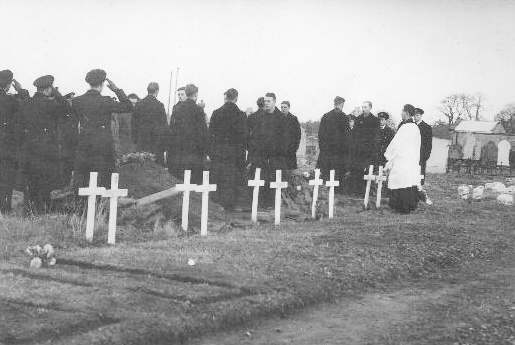 Pall bearers at the grave side. 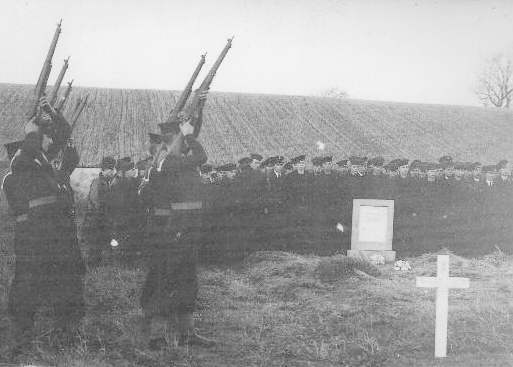 Firing a salute over the graves. 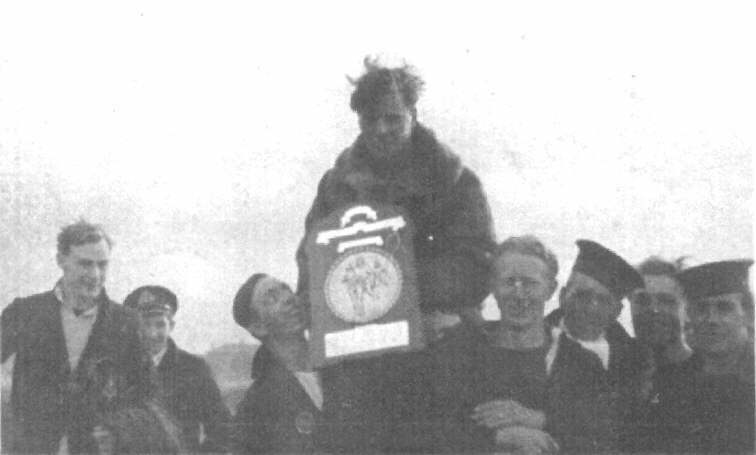 Sports Trophy at Crail, between June and September 1944. (l to r) C.O. Coxon, S/L. Dickson, P.O. Ron 'Pip' Piper, P.O. Geoff Squire (with Trophy) and four TAG's unknown. Sports Trophy at Crail, between June and September 1944. (Back row l to r) Unknown. (Centre row l to r) Unknown. (Front row l to r) Geoff Squire (TAG), P.O. Tom Casey (Sen. TAG), S/L. D. Smallwood (P), Lt. Regan (Sen. Obs), C.O. C. Coxon, S/L. A. Muncer (P), S/L. T. Dewsnap (O), ?, ?. 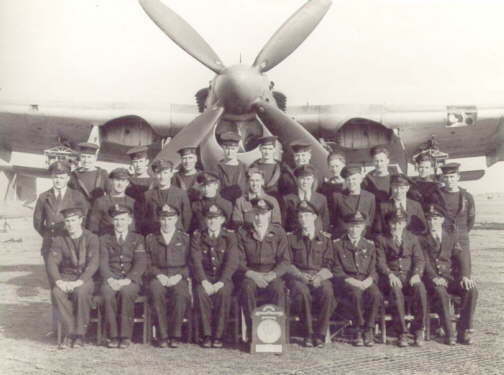 812 Squadron at RNAS. Burscough between September and October 1944. 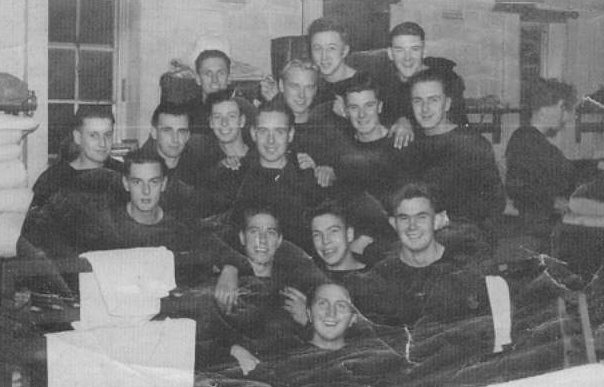 Back row (l to r): Arthur Hennessey (TAG), Fred Rouse (TAG), Gordon 'Timber' Wynn (TAG), Geoff Squire (TAG), John Dickson (P), Miles Crosthwaite (O), ?. Hill (O), P.O. Tom Casey (TAG), Joe Spencer (O), David Robins (O), Vic Hamill (TAG), ?. McMahon (TAG), Gordon Hughes (TAG), Bert Churchill (TAG). Front row (l to r): Harry Saggs (O), Derrick 'Bambi' Brook (O), ?. Fisher (O), Bill Broad (O), Jock Balfour (P), Tommy Dewsnap (O), Gordon 'Blood' Wallace (O), 'Spike' Regan (Sen. Observer), Lt. Cdr. Cedric Coxon (C.O. ), Peter Poole (Sen. 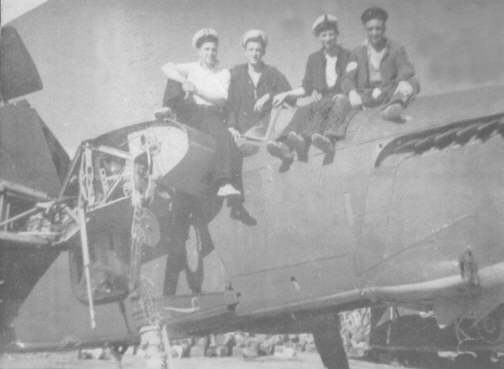 Pilot), 'Poppa' Bristow (P), Les Terry (P), ?. Stansfield (O), John Cookson (P), ?. Digby (P), Peter 'Ace' Throssel (P). The crew of 'R' for Roger, Barracuda II (MD 695). (l to r): P.O. Geoff Squire (TAG), S/L. John Dickson (Pilot) and Derrick 'Bambi' Brook (Observer) at RNAS. Burscough in October 1944. 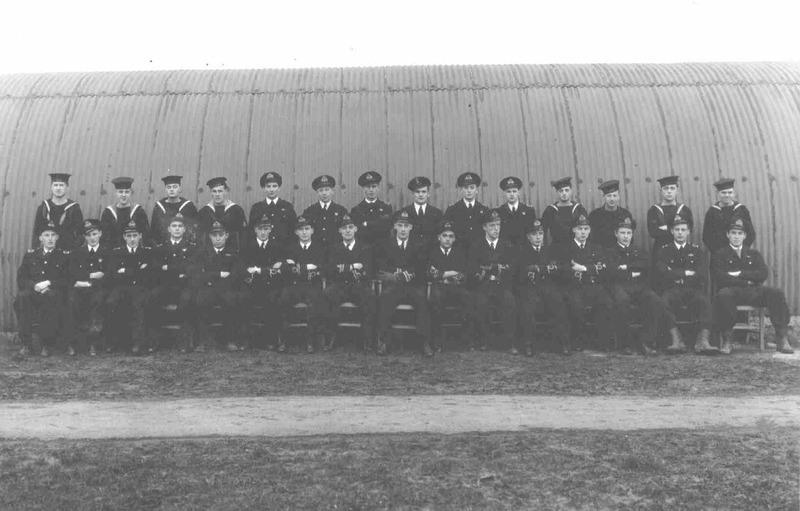 812 Squadron at RNAS. 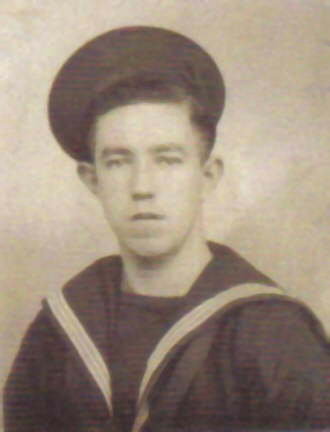 Fearn in November 1944. Back row (l to r): Tom Casey (TAG), Arthur Hennessey (TAG), Fred Rouse (TAG), Hubert Balsam (TAG), Ken Hutchinson (TAG), Geoff Squire (TAG), Stan Pomfret (TAG), Gordon Hughes TAG), ?. Thompson (TAG), Tom Stone (TAG), ?. McMahon (TAG), Harry Gee (TAG), Gordon Wynn (TAG), Bert Churchill (TAG). Middle row (l to r): P.O. ?. 'Slip' Slater (P), Peter Throssel (P), Sam Smallwood (P), John Birch (P), G. 'Happy' Pain (P), Gordon 'Blood' Wallace (O), Tommy Dewsnap (O), 'Spike' Regan (Sen.O), Robert 'Toby' Tobias (O), Derrick 'Bambi' Brook (O), Peter Stansfield (O), ?. Bentley, ?. Fisher, ?. 'Shiner' Wright, Bill Broad (O), Bob Roseveare (O), Miles Crosthwaite (O), Ian Trethowen (O), Robins (O), Joe Spencer (O). Front row (l to r): P.O. Sidney Hunt (P), John Dickson (P), Arthur 'Wigs' Muncer (P), Charles Wintringham (P), Peter Poole (Sen. P), C.O. Cedric Coxon (P), ?. 'Poppa' Bristow (P), ?. 'Jock' Balfour (P), John Cookson (P), Robbie Burns (P), ?. Digby (P). Pilot S/L. 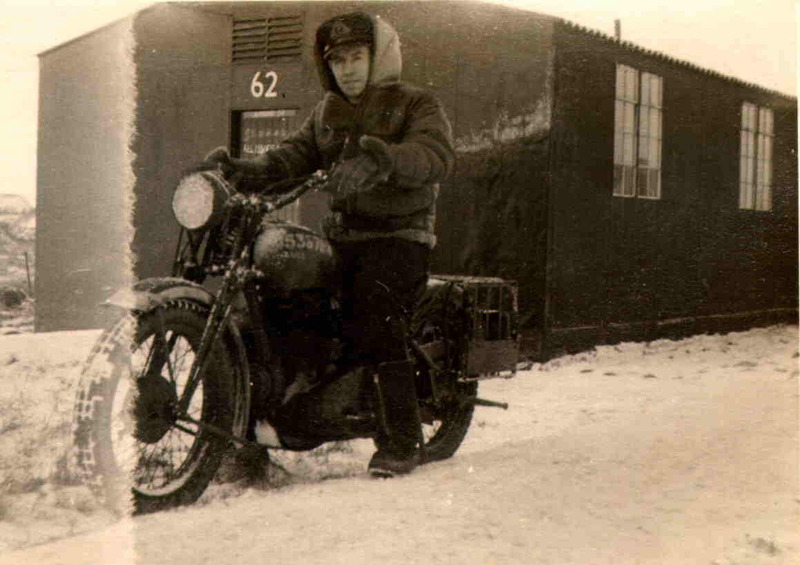 G. ('Happy') Pain, in Britain - Winter 1944/1945. Air Mechanic (Ordnance) John Stoddart, served with 812 Sqdn. from November 1944 to June 1945. Maintenance team for 812 Sqdn. Barracuda's. (L to R) P.O. 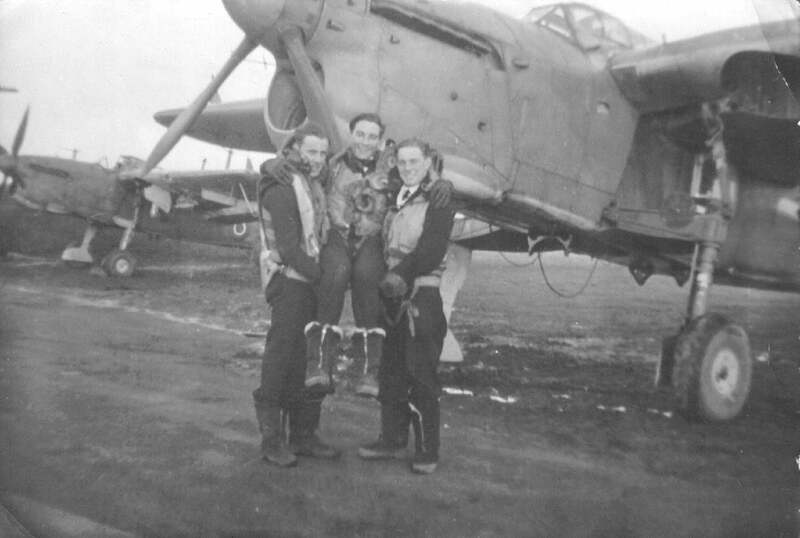 Roy Riddington, Harry Orton (Engines), 'Cockney' (Electrics) and 'Dusty' Miller (Airframes). Photo taken at RNAS. Halfar, Malta in March 1945.